Ok Google, what should we expect from digital in 2019? Your fridge updating your grocery list for you, asking your robotic assistant to buy you some new batteries, inescapable ads infiltrating your messaging apps – this is all beginning to sound a bit like an episode of Black Mirror – but, for more and more people, these trends are becoming a daily reality. Going into 2019, there are some trends you can no longer afford to ignore. The IoT is redefining the entire retail experience – it currently connects over 11 billion everyday products to the internet, allowing retailers to collect more data, develop increasingly complex customer journey maps, and personalise brand offerings. With more IoT ‘Smart’ devices entering our homes, brands have been presented with a huge opportunity. If Smart devices are equipped to best understand the needs of their owners (i.e. a fridge or freezer knowing its own contents), brands could target adverts based on this information. 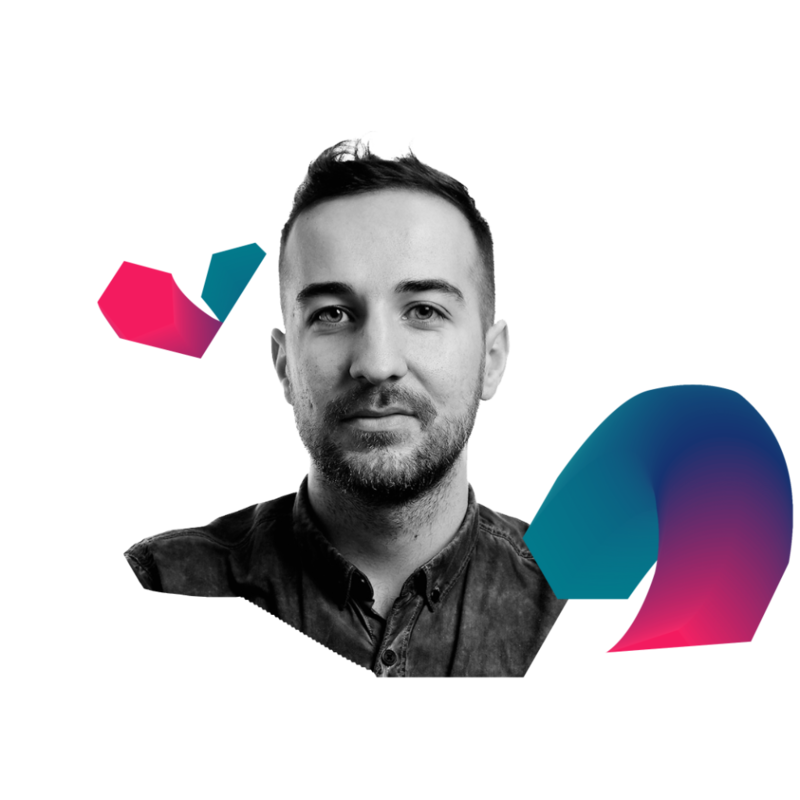 Brand success is no longer dependent on supply and demand, nor personalisation, but on which brand is most efficient, most intelligent, and quickest to adapt to changing environments and technologies. Now, more than ever, people are concerned with the future of the planet, as well as their own ethical and environmental impact. Brands like Unilever, Toyota and IKEA understand that in order to future-proof themselves, they have to exercise a certain degree of environmental consciousness. These brands, and brands like them, are looking for more innovative methods of promoting eco-friendly practices within the workplace. When it comes to transport, the game has changed completely. We’re living in an exciting era; an era of smart mobility. Our approach to mobility now involves integrated technologies, personalised services dependent on customer need, multi-transport options, and a greater focus on user experience. Car ownership is slowly becoming redundant – with companies offering their consumers and employees the option to make use of vehicles only when needed, in a way that is more accessible and less time consuming. Consumers don’t want to worry about car insurance, maintenance or parking – they just need a ride. Is a smart speaker on your wishlist this Christmas? By the time we ring in the New Year next year, almost half of American households will own a smart speaker, according to a recent Adobe study. But that’s just the beginning. 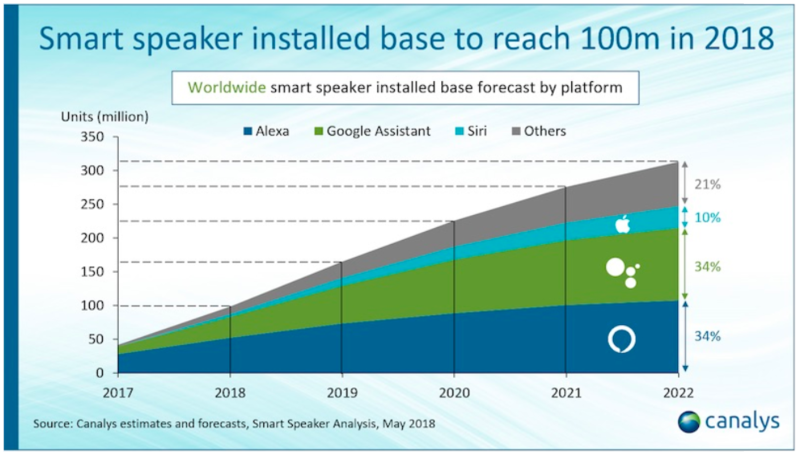 Artificial Intelligence (AI) systems are the drive behind more sophisticated smart speakers – the next evolution of smart speaker will have an ever greater capacity to understand human conversation. “People need to be able to interact in a much more natural way, and conversation is our go-to way of exchanging information,” explains Murray Campbell, IBM Distinguished Researcher. The Smart Speaker of the future will be far better at anticipating the needs of their owner – they’ll learn from their owner’s habits, lifestyle, likes, dislikes, and recent shopping history, and make their recommendations based on this wealth of information. Content marketing continues to play a very important role in digital strategy. In the past we’ve talked about personalisation, transmedia and video – now we need to add dynamic content to that list. In an environment overly-saturated with information and communications, marketers need to ensure that their brand messaging is more engaging and exclusive. Companies cannot be successful in creating dynamic content or experiences if they have not yet taken the time to understand their customer journey and buyer persona profiles. Knowing your potential audience is crucial. Content is becoming more intelligent with the help of technology and data-driven strategies, helping us to deliver more detailed, personal and effective marketing – and of course, never forget the importance of creativity at each stage of the funnel. In a post-GDPR world global companies are evaluating how best to manage customer data in a way that is ethical and respectful to the privacy of their audience. New regulations have revealed that most firms don’t know what kind of data they have stored, where that data is located, who has access to it and how it is handled. 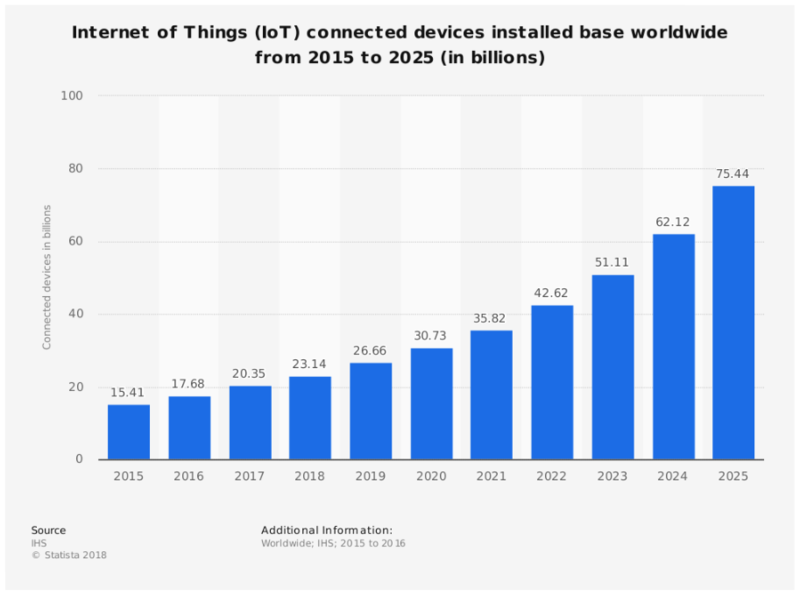 Connected IoT devices have already become a daily reality for many of us and it’s expected that by 2020 83% of enterprise workloads will be in the cloud. These devices that have transferred data to the cloud are currently very vulnerable to hacking. Investment in data security will be a priority in 2019. As a result, many organisations lost large volumes of clients in 2018, either because they did not comply with all the necessary rules and regulations, or because they unsubscribed from commercial communications. Now, brands are faced with the challenge of regaining their customer’s trust – and creativity and dynamic content are both important factors in the equation. 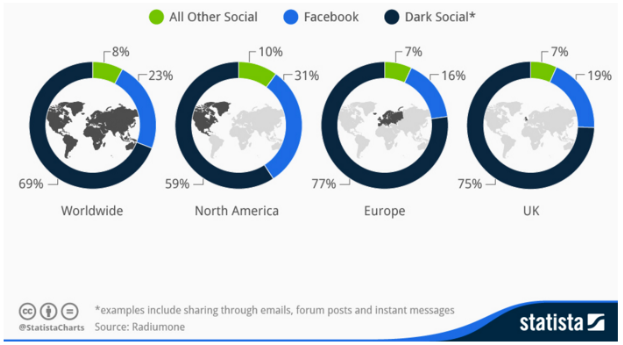 Messaging apps are dominating the digital communication sphere with more than 2 billion active users worldwide. People are connected to their mobile devices 24/7, and WhatsApp and iMessage are allowing brands to take advantage of this messaging market by developing messaging for business apps. You’re probably already aware of the huge impact that the quality of customer service can have on customer lifetime value and revenue growth – so make sure you don’t fall behind when it comes to messaging apps. Customer care aside, huge volumes of data and content are being shared on dark social – and if the way information is being shared is changing, then the onus is on brands to adapt to this new reality. In 2019, WhatsApp will introduce advertising in the Status bar. This is only the beginning of the dark social invasion. There’s no point in investing in new technologies when they’re not relevant to your consumers or your brand – especially when resources are finite. You have to choose wisely – focus first on what you want to achieve and who you’re targeting. Which trends will you be investing in for 2019?